Missouri does not have a mandatory statewide energy code. For a list of jurisdictional energy code adoptions, please click here. Due to its history of strong local government, Missouri does not have a mandatory statewide energy code. However, however all local jurisdictions except class III counties have the right to adopt an energy code. As expected, this system creates a sometimes confusing patchwork of different codes throughout the state. All new state construction, buildings being constructed for lease by the state, and significant renovations and replacement of energy-using equipment shall be at least as stringent as the most recent energy efficiency standards of the IECC. Exemptions shall be limited to those listed in the IECC and exemptions approved by the Director of Facilities Management, Design and Construction. Missouri has no mandatory or voluntary statewide energy code for private residential construction. Legislative: In Missouri, only the General Assembly is authorized to enact legislation to establish statewide building construction regulations and/or authorize a state agency to do so. However, there currently is no state regulatory agency authorized to promulgate, adopt, or update construction codes on a statewide basis. Missouri has considered adopting a state code previously. For example, SB 745, drafted by BCAP in 2010, would have adopted the 2009 IECC and ASHRAE Standard 90.1-2007 statewide. It also would have directed DNR to establish an automatic review cycle, either every three years or within nine months of the publication of a new model code version. In addition, HB 938 in 2011 would have implemented the energy provisions of the 2006 IRC. Both bills, however, failed to move past the committee stage. All local jurisdictions except class III counties have the right to adopt an energy code. Missouri communities tend to adopt codes on a six-year cycle rather than following the three-year ICC development cycle. It is also typical for communities to follow the code adoption of surrounding communities. These adoption practices have developed two trends in Missouri; eastern Missouri communities are generally on the 2003 I-Codes and are moving/have moved to the 2009 I-Codes and western Missouri communities are generally on the 2006 I-Codes and are moving to the 2012 I-Codes. St. Louis County is considering adoption of the 2015 IECC. Missouri releases its Comprehensive Statewide Energy Plan, which includes recommendations for statewide building codes. St. Louis County continues work on building code updates, considering the 2015 edition of the IECC. This bill dies in the House during the spring of 2010. House Bill 1667 is introduced to the Missouri State General Assembly. This legislation would establish a minimum statewide energy code for residential and commercial construction and renovation. This bill dies in the House in March 2010. Senate Bill 745 is introduced. This legislation would would create provisions pertaining to environmentally sustainable construction for state-funded buildings. This bill dies in the Senate in March 2010. The governor signs Executive Order 09-18, which requires that all new state construction, buildings being constructed for lease by the state, and significant renovations and replacement of energy-using equipment shall be at least as stringent as the most recent energy efficiency standards of the International Energy Conservation Code (IECC). Exemptions are limited to those listed in the IECC and exemptions approved by the Director of Facilities Management, Design and Construction. Governor Matt Blunt signs SB 1181 into law, requiring the Department of Natural Resources to establish minimum energy efficiency standards for state buildings, based on the latest version of the IECC (2006 at the time of enactment). SB 1181, effective January 1, 2009, applies to both new and renovated state-owned construction. The Commissioner of the Office of Administration may exempt any state building from meeting the minimum energy efficiency standard requirement for safety reasons or when the cost of compliance is expected to exceed the energy cost savings. 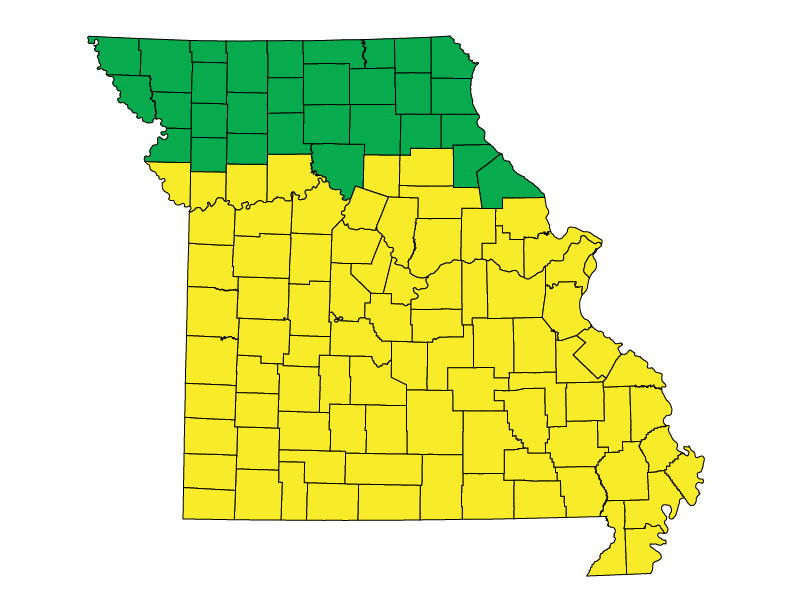 The state of Missouri passes a wide-ranging package of energy efficiency initiatives during the summer of 2008, including homeowner tax incentives. In response to legislation signed in 1993, for Energy Efficiency in State Facilities, a rule is finalized and published with an effective date 30 days later that establishes “state building minimum efficiency standards.” The rule covers new state buildings (or portions), additions, substantial renovations, or existing buildings considered for lease (when over 10,000 sq. ft.) or acquisition by the state. ASHRAE/IESNA 90.1-1989 is adopted by reference for buildings other than single-family and multi-family residential buildings not over three stories high. For single-family and multi-family residential buildings, the latest editions of the Council of American Building Officials Model Energy Code (MEC) or ANSI/ASHRAE Standard 90.2-1993 are applicable. New editions/revisions to these adopted standards are automatically adopted by reference and become effective three months after the date of their publication. (10 CSR 140-7, Department of Natural Resources.) No statewide requirements exist for other buildings; local cities and jurisdictions continue to adopt their own requirements.